+ These days we are spending holy days of Ramadan. Ramadan is the ninth month of the Islamic calendar, when the Qur’an was revealed. It is a good opportunity for me in this month to bring myself to life,again! With fasting we can experience absolute meaning of the life,from sunrise to sunset ,be a progressively better person! + Today, I launched Ajaxian.ir (Ajax news and events in Persian).It’s a linklog,a system for reporting and reviewing usefull links in context of Web 2.0 .I’ve designed this system using Symfony Web framework , in my free times.It’s in beta version now and i will spread it,in near future! 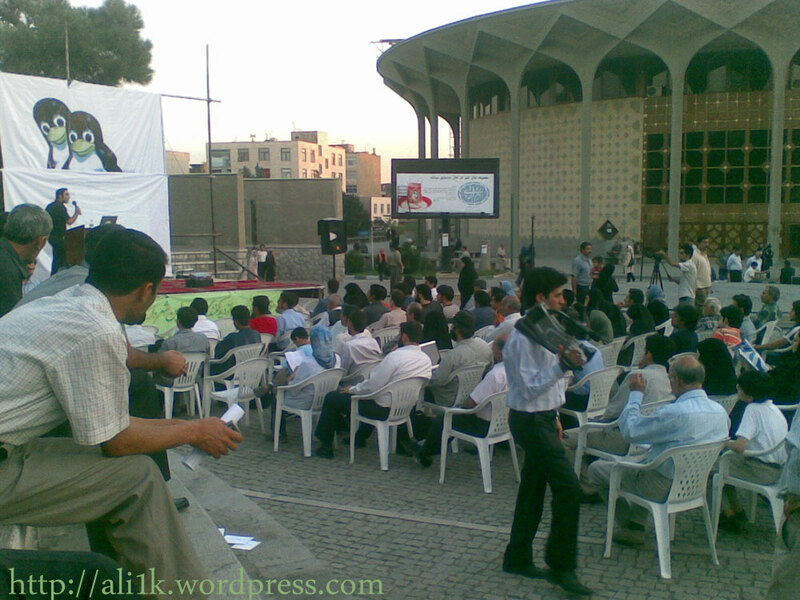 + Last week[10 september] in Tehran ,followers of open source community,celebrated Software Freedom Day ,Installing Ubuntu and advertising Persian WordPress were some programs of this celebration in front of main theatre of city. The Ajaxian.ir …., is awesome. ow ! in IRC I think you said study for MS exam ! but now I read you passed it ! Nice, this is the first english blog from in-home I see it.